Dana Tennyson is a well known marketing expert, brand advocate, and social media early adopter. She is the founder and CEO of Billow Marketing and a Managing Partner in Rising Tide Property Investment company. Dana is also a skilled public speaker and business coach. 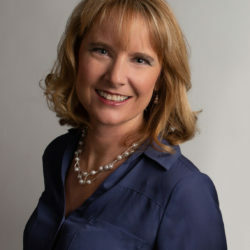 Dana has designed and run numerous successful marketing campaigns for local/regional businesses and politicians through her company, Billow Marketing. 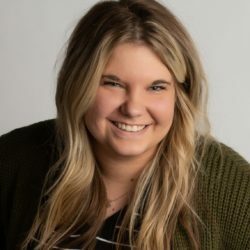 At Billow Marketing, Dana and her team create graphic design and website content, manage social media, build websites, create email campaigns, and produce videos. They place print, radio, digital, and TV ads for clients. They can professionally photograph or videotape events. Dana is adept at market research. She believes in analyzing her clients’ industries and using data to drive marketing results, in digital marketing or traditional marketing campaigns. She is SEO Certified by Yoast Academy (2018) and Facebook Blueprint Certified. Dana is an accomplished trainer and public speaker. She also presents marketing training for corporate clients and professional groups. In addition, she has been an Independent Love and Logic® Facilitator since 2011, training parents in the Parenting the Love and Logic Way™. As a former restaurant owner and manager, Dana also trained staff and ran the business. She gives presentations quarterly at the Grayson Founders Business Network International (BNI) meetings for Grayson County. 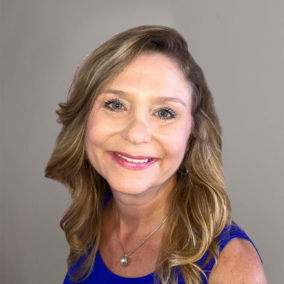 Dana is a leader in her community of Pottsboro, Texas, serving in the business, education, civic, and nonprofit arenas. She is a current member of the Pottsboro Chamber of Commerce and BNI. Dana has held various leadership positions in organizations supporting and promoting area businesses, nonprofits, and educational endeavors. Dana has long been an advocate for the betterment of children’s education. She is also a board member of the charitable organization, 100 Who Care Grayson County Texas. Dana holds a BA in Marketing from University of North Texas. She is a proud native Texan, raised in Dallas. She, her husband of 18 years, and her three kids have lived by Lake Texoma since 2013. Micah Taylor earned her Bachelors of Arts in Advertising and Strategic Communications from the University of North Texas in 2011. She grew up in Pottsboro and moved back to the area in 2014 after living and working in Dallas for a few years. Proficient in Photoshop, she has continued designing graphics and logo artwork since college and also manages small business social media accounts. Micah loves to paint and design home decor and signs, which led her to making it in to her own business; which she still does on the side. She’s a huge baseball fan; the Texas Rangers are her favorite, and loves animals – especially her beagle Lexi and her new lab puppy Sadie. Micah joined the Billow Marketing team in January 2017. Pam graduated with a Masters in Education and a B.S. in Communications from the University of North Texas. She has recently joined the Billow Marketing Team and is tasked with keeping our projects on track. With X-Men’s Storm characteristics, the systems she is implementing will benefit our clients with a clear, sunny experience. Along with her office and technical writing background, she is creative and thrilled to be working around artistic, creative people at Billow. Pam and her family moved from the DFW metroplex to Pottsboro in 2015. She loves living on Lake Texoma and enjoys spending time in nature and gardening. She also enjoys watching sunsets, hiking and boating with her husband, two kids and dog. Scott is an accredited Auctioneer and Business Leader with roots in the gaming industry. 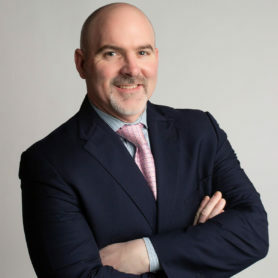 He is a proven leader and business strategist with a unique combination of technical and administrative acumen and a demonstrated track record for identifying and building professional teams that control cost, increase revenue, redefine success in every area, and deliver bottom line results at the highest levels. Scott has 20 years’ experience in strategic analysis, operations, procedure compliance and time management; he’s been a manager, mentor, motivational speaker to thousands, and an operational pioneer with great success in employee management. Scott has earned certificates from foundations for Leadership, with training from Gaming Operations from University of Nevada, Reno and Executive Management from Dale Carnegie. He grew up in Marietta, Oklahoma and currently resides in Pottsboro on Lake Texoma. Caleb Gowman graduated with a Bachelors of Science in Computer Science from Southeastern Oklahoma State University. He has been working as a web developer and computer programmer for the better part of a decade. Caleb loves to build custom PCs, and has interest in coding and programming in general. He also has a huge interest in cars, and would like to one day attempt a restoration project. 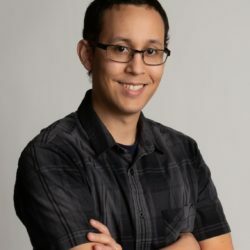 Caleb joined the Billow Marketing team in late July 2018. He is currently married to his wife and has one child.